After adopting two rescue dogs, we knew that we needed to provide a safe place for them to run and explore freely without being leashed. So in September, we started the 2013 Backyard Remodel project… fencing in a large portion of our yard. John, with lots of help from our son Greg and son-in-law Steven, moved an existing shed, drilled 36 post holes and set 36 posts in concrete, strung 100+ feet of fencing, built three gates, and moved several loads of gravel. It was a lot of work but finally, just before Thanksgiving, it was finished! The girls are so happy! And so are we! We started the project by installing landscaping bricks. This area was an awkward ankle-turning slope. Steven, John and Greg spread the gravel to complete the shed foundation. The Girls…aka Cassie and Lady…are so happy that the Backyard Project has begun! There are lots more photos so look for them in future posts. Oh my goodness! Can it be December 28th already? A belated Merry Christmas to you! Well, let’s see… in my last post I told you about our new family member, Lady. 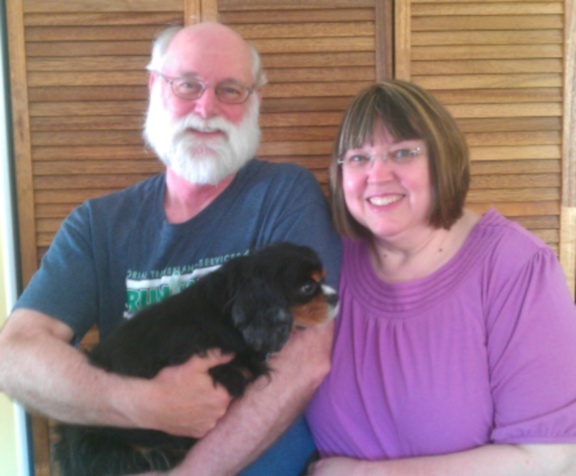 I also mentioned that we were praying about a companion dog for her. Good news! 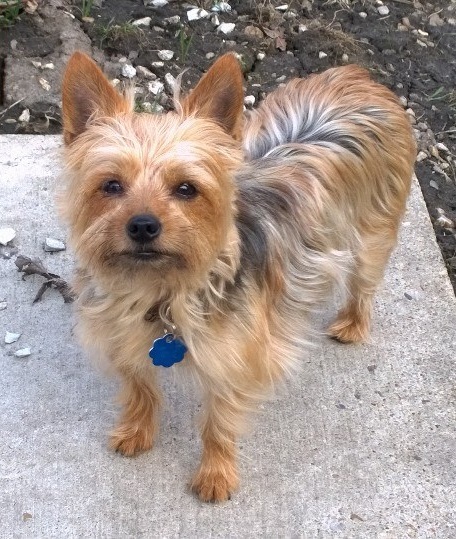 On August 3rd, we adopted Cassie, a 9 year old Yorkshire Terrier who needed a new home. 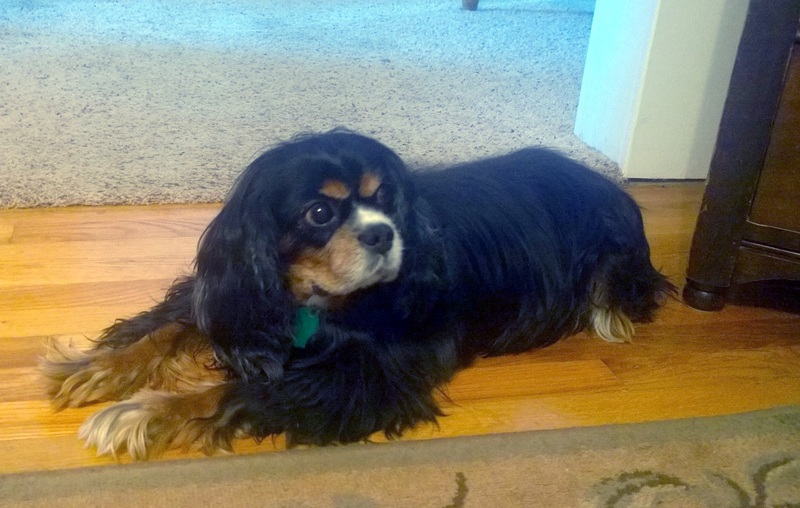 Cassie had been with her previous pet parents, an older couple, since she was 5 weeks old, so it was an adjustment when her pet mom died, her pet dad went to live in a nursing home and, for two months or so no one was able to keep her. But when our niece Jenna introduced me to Cassie, it was love at first sight! John and I had thought that we wanted to get another Cavalier King Charles Spaniel so it took a day or so for us to adjust to the thought of a Yorkie. Jenna and I had arranged for me to meet Cassie at her check up at the veterinarian and by the time we were finished there, I knew she would come home with me right then! When we got home John and Lady were outside to greet us and “the girls” (as we call them) got along right from the start! It was all meant to be! So now our lives revolve around being a two dog family and all that goes with it… house training, command training, food (dry, wet, or combination? ), allergy problems (for Cassie), heart problems (for Lady), teeth cleaning, walking them, playing with them, going for rides in the car with them, and loving them with all our hearts. If you’re thinking of getting a pet, please consider adopting a rescue animal. Providing a loving forever home will be a huge blessing! Categories: Pets | Tags: companion dog, pet parents | Permalink. The second big thing in our lives happened in February. Hubby John and I were watching a show on Animal Planet about different dog breeds. On this particular day, on this particular episode, they showcased the Cavalier King Charles Spaniel. We had never heard of the breed but we found ourselves glued to the TV, listening to every word about this loving, laid-back, lap dog! We looked at each other and agreed that maybe we could go for that kind of a dog! 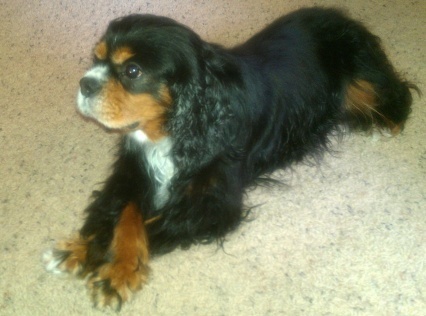 I started researching Cavaliers online and thought I’d look into what it would take to get a puppy. I soon discovered that to get a puppy from a reputable breeder was out of the question cost-wise. Besides, John and I are getting older and really didn’t think we had the energy required to raise a puppy. Our daughter, Emily and her hubby live in that area so we contacted them to ask if they knew anything about Partners for Pets. Well, not only had they heard of them, they had actually adopted one of their three rescued cats from Partners for Pets! 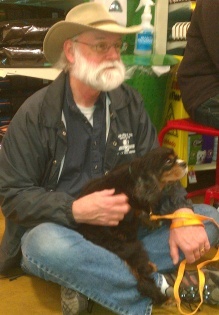 We read the description about this older female Cavalier who was loved by the staff and volunteers alike at the shelter. It said she had a hard life as a breeder dog in a puppy mill and she had many, many puppies before they decided she was no longer of any use to them. We felt her tugging at our heart strings from that moment. So, we took a deep breath and downloaded the adoption application. It was quite extensive! We had to give references, the name of our vet, and tell them how we would care for an adopted pet, about our life-style, and so on. After sending in the application, the waiting to hear back was nerve-wracking! Finally, we got an email reply and were told that we were approved but we were second in line to adopt this sweet dog. If the first applicant’s references didn’t check out, then we’d be first in line. Oh my, the waiting was hard, but we wanted the best for us and for Sissy so we trusted the Lord for everything to work out the way it was supposed to. Just a day or so later another email came from the shelter volunteer. This one said that we were now first in line to adopt Sissy and asked when we could come to one of their adoption events to meet her! Yay!!! Of course we’re all still adjusting to our new lives…. Lady was not house trained (although that’s getting much better) and she still doesn’t know how to play, but she is flourishing with a loving family in her fur-ever home! We’ve had Lady now for about 4-1/2 months and are thinking that she needs a companion dog, so we’re praying for the right one to adopt when the time is right. Thinking of getting a pet? Please consider rescuing a dog or cat…you won’t regret it!